Today morning I got a call from my friend saying ‘Steve Jobs died’. I immediately got up from my bed and switched on my PC to check the news and this is what I saw in Apple.com. It’s really sad news for me and for those who were inspired and touched by his Innovation and Creativity. 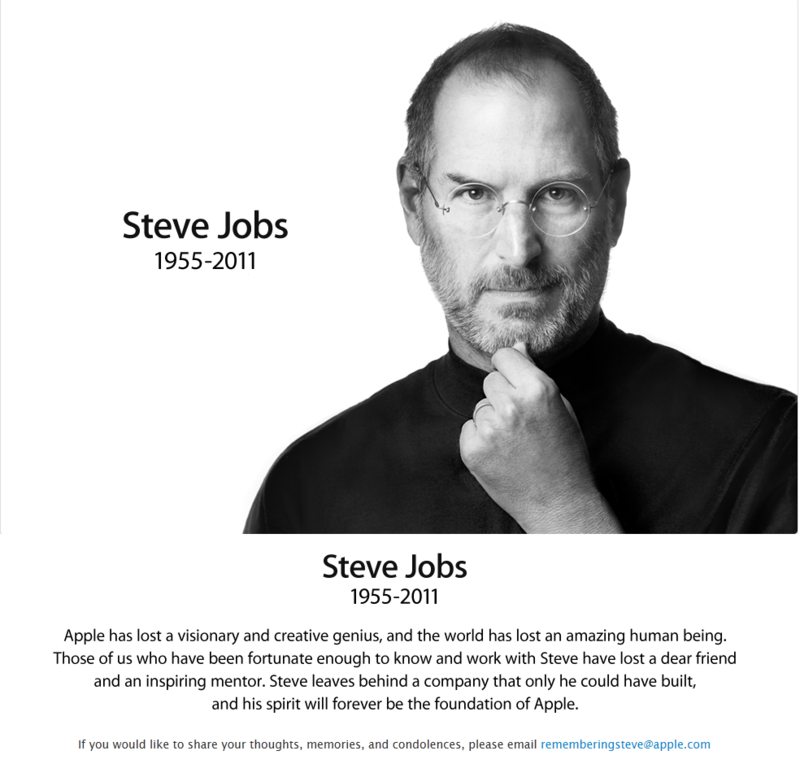 My hearty condolences to his family,friends and the employees of Apple. I would like to post the speech he gave in 2005 at Stanford University.